While bitcoin is fresh off all-time highs today, its forks are battling choppy markets. However, price analysis suggests that both bitcoin cash (BCH) and bitcoin gold (BTG) might soon break out of the doldrums. As of writing, bitcoin cash is trading at $1,522.60, a range in which its traded for most of the past week. As per CoinMarketCap, the cryptocurrency has depreciated by 5.9 percent in the last 24 hours. That said, BCH peeped above $1,600 levels yesterday, possibly due to comments from CBOE president Chris Concannon that bitcoin cash could get its own derivatives market soon. However, a general pullback across the cryptocurrency market seems to have pushed BCH back below $1,500 levels. Over the last few days, the bears have consistently failed to keep BCH below the rising trendline (red). The pullback from the recent highs above $1,750 lacks substance (i.e. volumes are well below the 30-day average). A close above $1,545 (161 percent Fib extension) would validate the bullish picture put forward by the rising trend line and could yield a rally to $2,000 (rising channel hurdle). On the downside, a close below the rising channel support of $1,200 would open the doors for a sell-off to $8,50 levels. Like bitcoin cash, bitcoin gold is witnessing a struggle between the bulls and the bears. The cryptocurrency was last seen trading at $320 levels – down 5.3 percent in the last 24 hours, also going by CoinMarketCap data. BTG fell below $300 last week as expected, but since then has been restricted to a narrow range of $280–$310. Weak follow-through to last bullish doji reversal. BTG is stuck largely in the range of $280 to $310. Last Thursday’s doji candle and Friday’s positive candle indicate a bullish doji reversal. 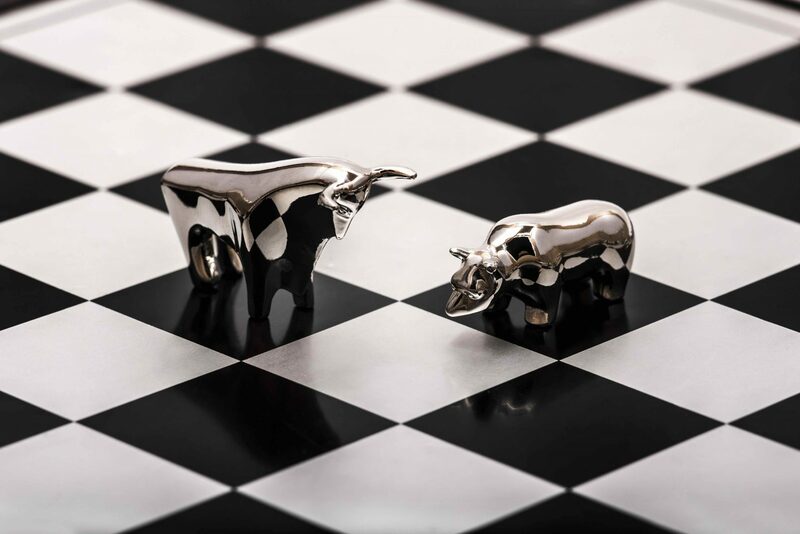 However, the bulls are struggling to keep the cryptocurrency above $310. The odds of a downside break of the range are high. A close below $280 could revive the sell-off from the recent highs above $400, possibly taking prices to below $160 (Nov. low). On the other hand, a close above $430 would validate the bullish doji reversal and push prices back above $400 levels.